As expected, the two-hour TV special unveiling the top 10 players in the NFL Network’s ranking of the top 100 for 2016 didn’t feature any defensive backs. And at the same time, it kind of did. Aqib Talib, Chris Harris Jr. Apparently the offseason is ranking season in the NFL. With free agency and the draft in the rearview mirror, and training camps still a few weeks away, it seems every football media outlet is coming out with a variety of rankings and lists to pass the downtime. NFL.com recently gave retired cornerback Ike Taylor, a 12-year vet who won two Super Bowls with the Pittsburgh Steelers, the task of putting together a list of the league’s top five cornerback tandems. 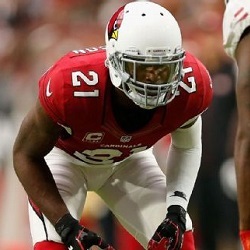 Arizona Cardinals defensive back Tyrann Mathieu is really good. 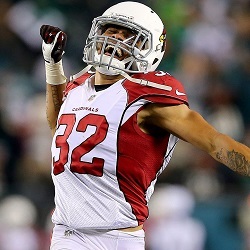 Tyrann Mathieu is aware that he’s really good. 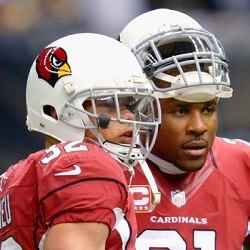 And Tyrann Mathieu is a third-round draft pick still working under his rookie contract, so Tyrann Mathieu is trying to get as much positive attention and money as possible. We’ll never know exactly how close Tyrann Mathieu came to going down in football history as the defensive backfield’s version of Maurice Clarett. All that matters now is that Mathieu got his life in order and has blossomed into one of the best players in the NFL. 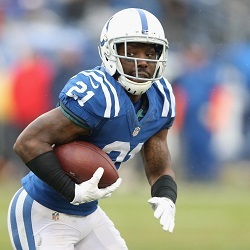 Not too long ago, Mathieu was, like Clarett, a former Heisman Trophy candidate who’d found himself forced out of college football and on the verge of blowing his opportunity at a professional football career. After getting kicked off the team at LSU and missing what would have been his junior season, Mathieu decided to go pro and was the most polarizing player on the 2013 NFL Draft board. 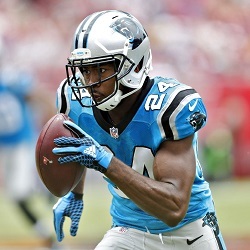 Ike Taylor should be well acquainted with the benefits and detriments of sharing a secondary with a teammate who is headed for the Pro Football Hall of Fame. 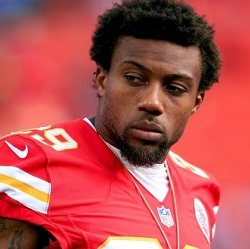 Taylor’s 12-year career as a cornerback for the Pittsburgh Steelers began and ended with him playing alongside strong safety Troy Polamalu, an eight-time Pro Bowler who will go down in history as one of the game’s greatest defensive backs. Taylor (fourth round) and Polamalu (first round) were both chosen by Pittsburgh in the 2003 NFL Draft, and both retired following the 2014 season. In a surprising break from the norm, a defensive player was the headliner when the Associated Press revealed its All-Pro Team for the 2015 NFL season. Rather than the competition for first-team quarterback between Cam Newton and Tom Brady (Cam won), or Adrian Peterson regaining his spot as the game’s top running back after missing almost an entire season, the top story when the rosters were released Friday was Khalil Mack, the Oakland Raiders star who made history by being the first player in NFL history to make first-team All-Pro at two positions in the same year. Harrison Smith, FS, Vikings (NFL): Back on the field after missing the better part of three games with a knee injury, Smith — along with fellow returning starters LB Anthony Barr and DT Linval Joseph — sparked Minnesota’s defense in Sunday’s 49-17 rout of the Giants. Smith had five tackles and 35-yard interception return for a touchdown as the Vikings clinched a playoff berth and will next play the Packers for the NFC North title. If all you’re working with is a TV, a late-night recap show and some basic stats, you may encounter the same methodical flaws in grading a football team’s defensive backfield as you would in grading a baseball team’s outfield. 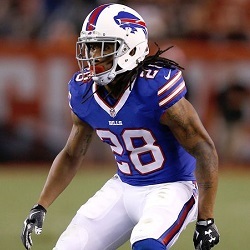 Who are the NFL’s best young defensive backs? NFL careers are short. How can they not be, given the overall physical nature of the game, the league’s eligibility minimums, and the influx of hungry new talent entering each year trying to make veterans obsolete?